The palatial Villa Amancay is so stunning, you’ll feel like you have your own boutique resort! The palatial Villa Amancay is so stunning, you’ll feel like you have your own boutique resort! Designed in Spanish, colonial style, this five-bedroom has lots of white archways, a cream exterior and terracotta roof. The swimming pool runs almost the full breadth of the property and is bordered by chic sun loungers. Steps lead down from the pool to a fantastic bar and Spanish style grill. The chef in the family can cook up some Spanish tapas with garlic grilled prawns and patatas bravas over a cool beer. If you’re up for some family sport, there is table tennis set up in the garden. 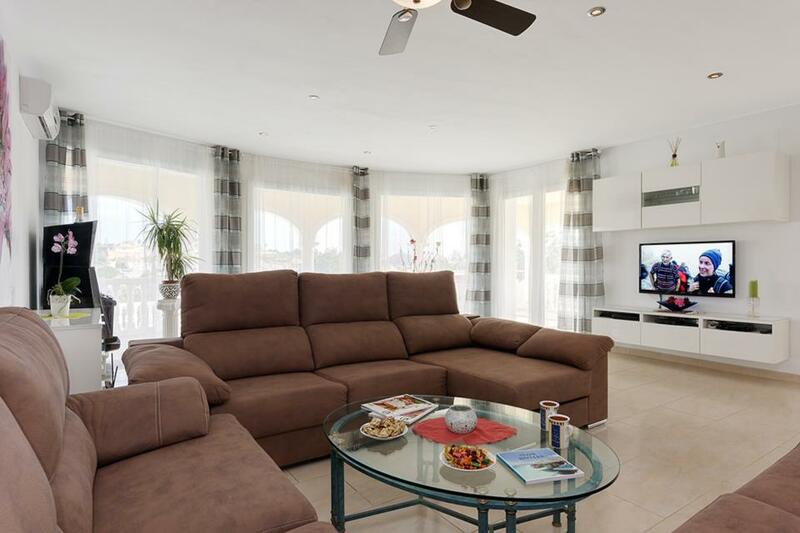 Super spacious indoors, the villa has a relaxing lounge with cosy sofas, an eight seater dining table and large, fully fitted kitchen. 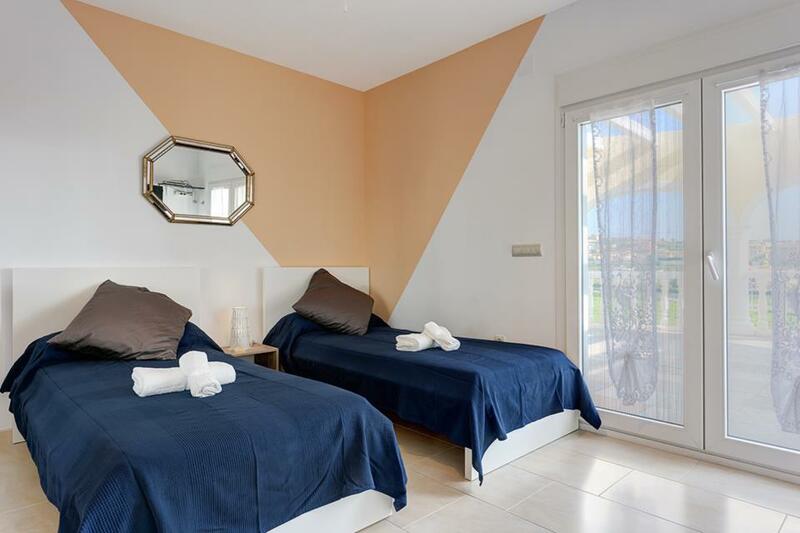 Three of the five bedrooms have floor to ceiling glass doors which open out onto a balcony, affording fantastic views of Peñón d’Ifach, a huge limestone outcrop in the distance. 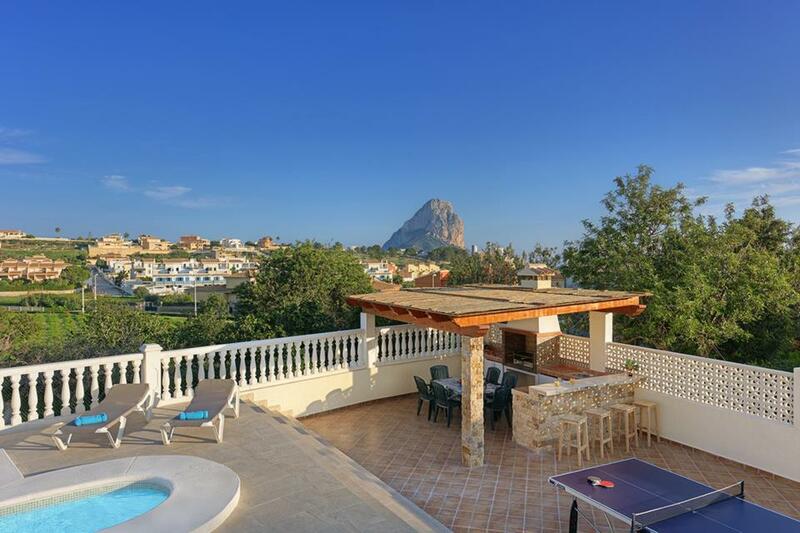 This villa is superb for those who prefer to travel on foot, as it’s only a ten-minute stroll right into the centre of Calpe. 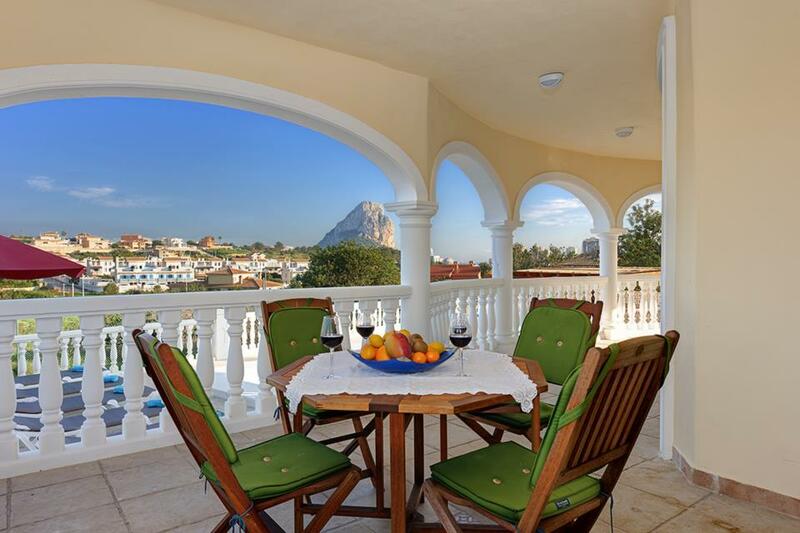 Known for its long, white sandy beaches, modern bars and restaurants, Calpe is a favourite with beachcombers. However modern, you’ll still find Gothic churches and Roman ruins amongst the tourism. You enter the property via a gate (90cm wide) with 1 step onto a path to the front door (78cm wide) and then a further step. There is also a large sliding gate on the drive from here followed by 2 steps to the path. Once inside there is an archway (90cm wide) leading into the lounge and a door to the kitchen (68cm wide). Another Archway (88cm wide) leads through to both ground floor bedrooms and a large walk in shower room (all doors 68cm wide). Large patio doors from the kitchen/dining room (with doorframe rim to step over) lead to a covered terrace from here there are 6 steps down to the garden/pool area. The pool has a crown edge and 5 roman steps. 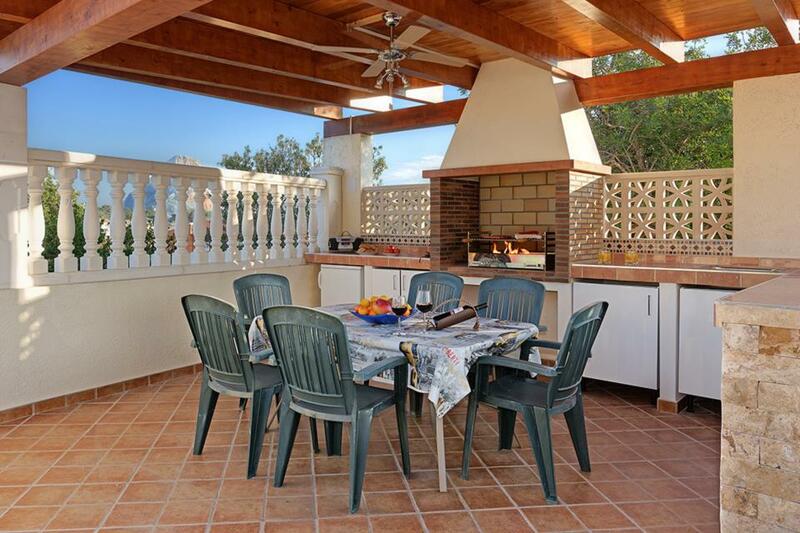 From the pool there are a further 6 steps down to reach the BBQ and al-fresco dining area. Note: You can access the pool area by only using 1 step out of the front door, as a path goes round the villa to the right on the level. 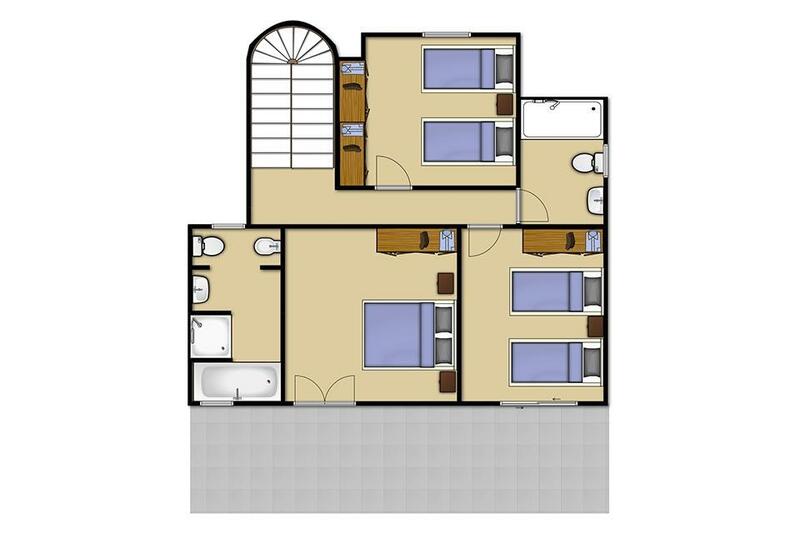 The rest of the bedrooms and bathrooms are located up a flight of stairs. 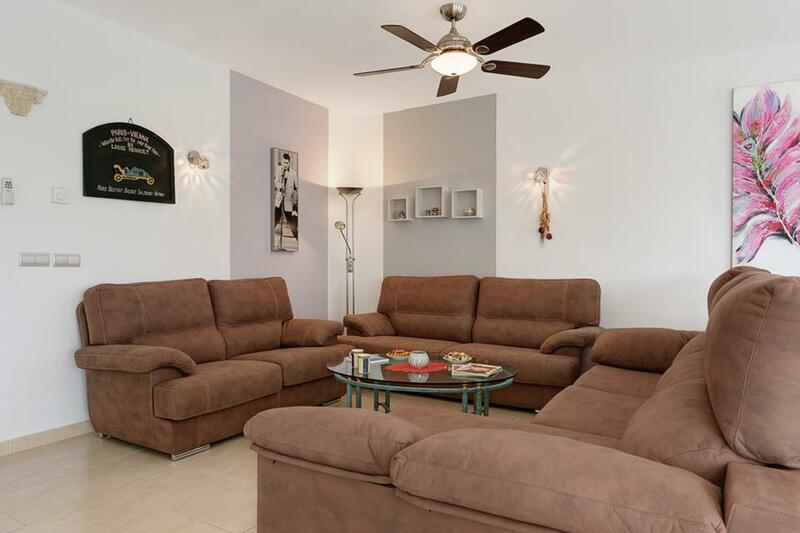 Villa Amancay has everything you could possibly need, for a great holiday. 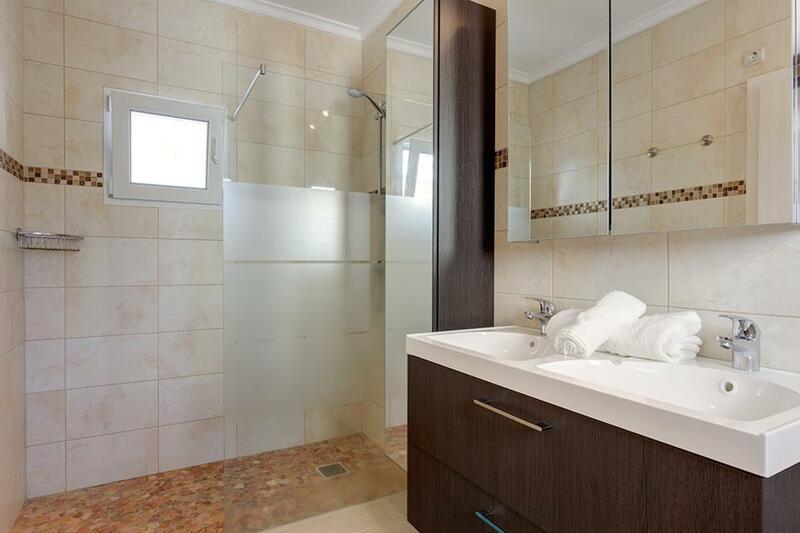 It is in a great location within walking distance of a supermarket, beach and restaurants. 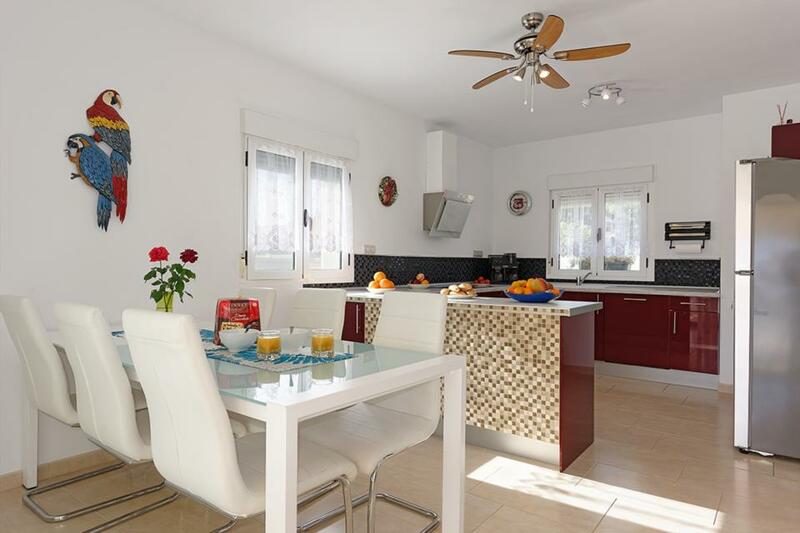 The villa was immaculately clean, very comfortable and plenty to keep the kids occupied with a lovely pool, table tennis, football table and plenty of English TV channels. I would highly recommend. The villa was absolutely fantastic, everything you could possibly wish for. If you are travelling in a big group there is plenty of room, never felt overcrowded with ten of us. A quiet residential area, within walking distance to restaurants etc, but a car is handy if you are wanting to go for a big grocery shop. Villa Amancay is a beautiful villa set in a lovely quiet location, its just nicely placed to be far enough away from the main traffic flow, but not too far that its a long walk. Facilities are excellent, this was our 2nd visit and loved it all again. Quick responses from both Solmar and the owners when we had a few small issues. Couldn't be happier. This is an amazing villa and we had a brilliant time. 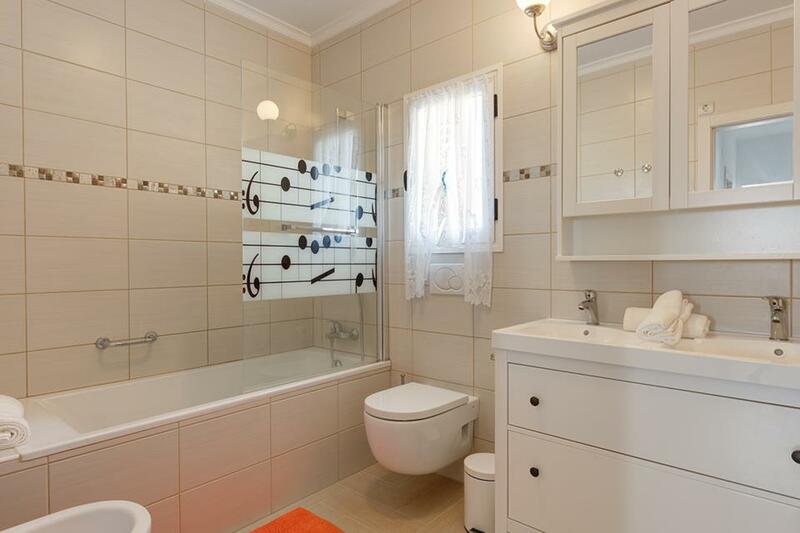 Really clean, well maintained and equipped. Suited our large group of mixed ages (1 year - 71 years) and was perfect for all our requirements. 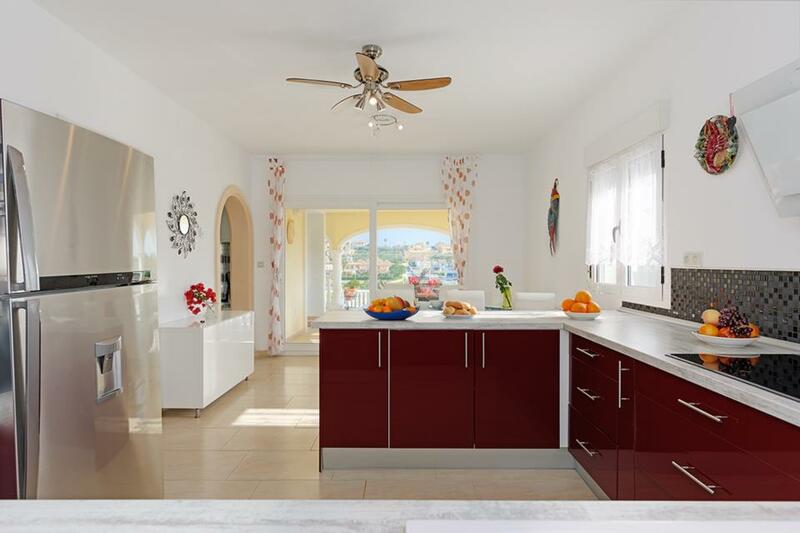 The villa is stylish, comfortable, very clean, well equipped and has a very nice pool area with a useful outdoor kitchen. 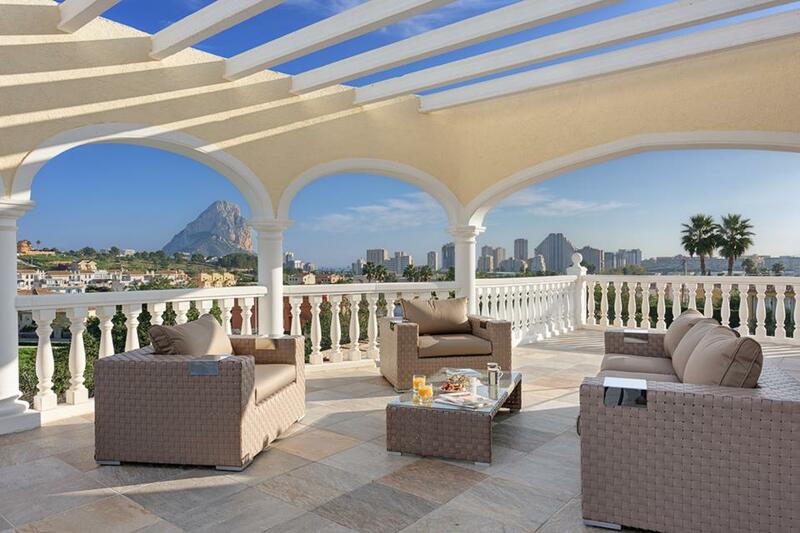 There are also lovely views from the villa and it's an easy 10-15 minutes walk to the town of Calpe. Gorgeous villa in a quiet rural location. The kitchen was well equipped with a good selection of crockery and cooking equipment. The supermarket was. 10 min walk away and the beach an easy 20 stroll. The land lady was very helpful and quickly resolved any issues. Highly recommend this villa. Very clean and well maintained. 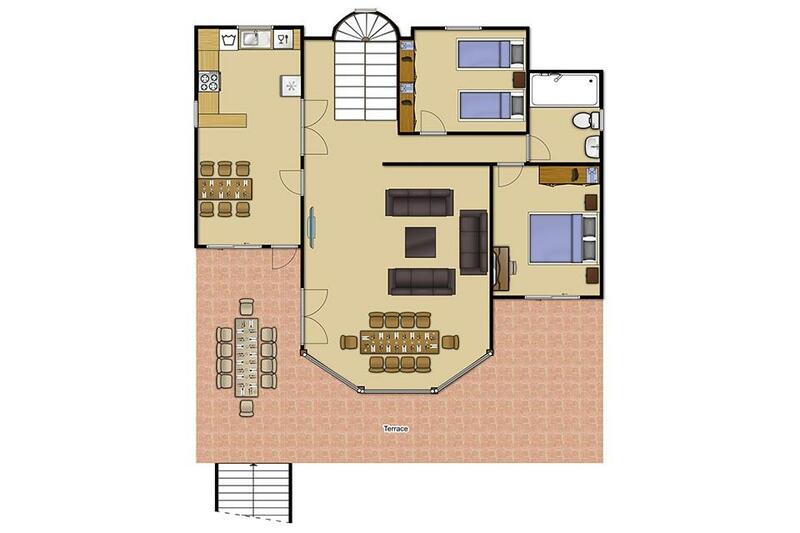 Walkable distance to beach, restaurants and shops. Perfect for groups and families. 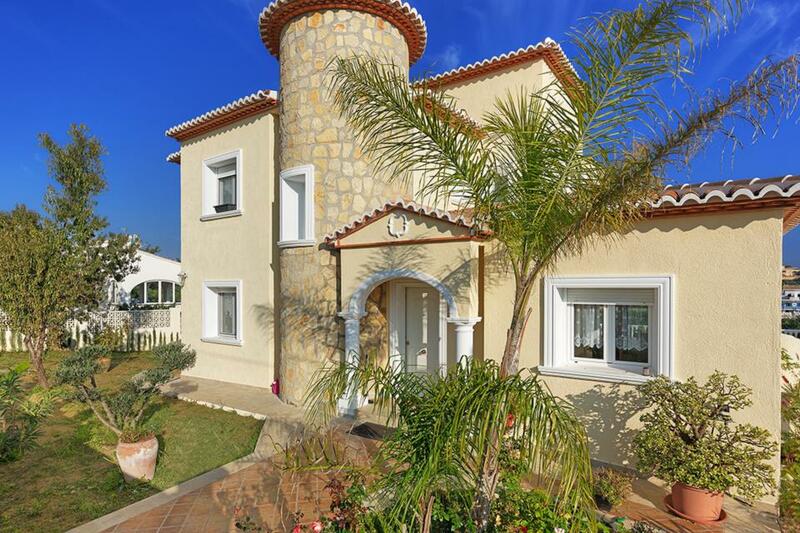 The villa size, location, modern decoration and facilities are superb. 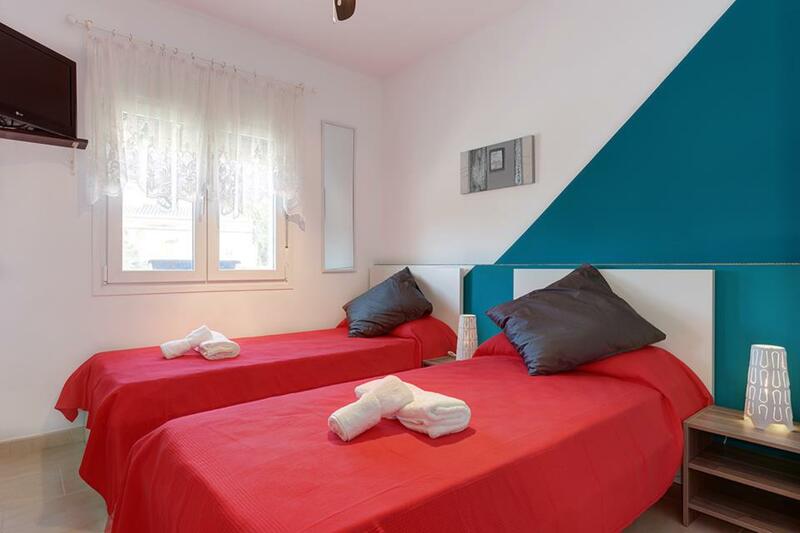 Local beach and resort all within walking distance where you can find an excellent choice of shops and restaurants. 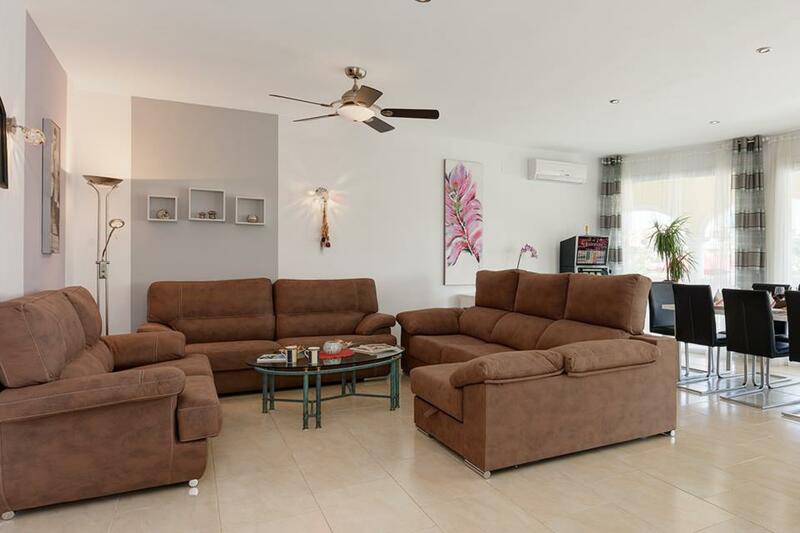 Villa Amanacay was superb, extremely spacious indoor and out, spotless throughout and had everything you could possibly need to have a fantastic holiday. Calpe was also a delight, plenty of excellent restaurants and bars, most only a steady 15 min walk downhill from the villa. The supermarket is also nearby and had everything we required. Very modern with all the facilities we needed. Villa was fab! Extremely well equipped, loads of space for large group and we lived the outdoor bbq and bar area! Villa was fab! Extremely well equipped , loads of space for large group and we lived the outdoor BBQ and bar area. We had a wonderful holiday staying at this villa. 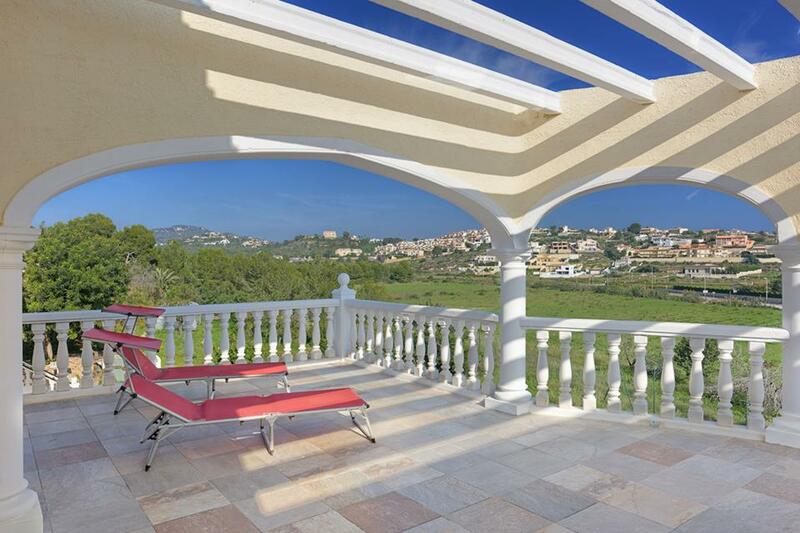 The villa is beautiful and has been finished to a really high standard both inside and outside. 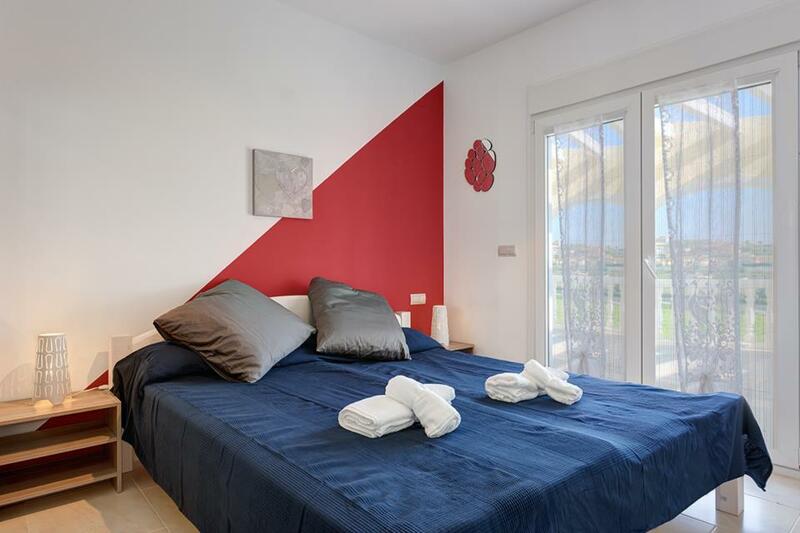 Ideal location with a supermarket 10 mins walk away and the beach 15-20 mins walk away. I would highly recommend this villa. 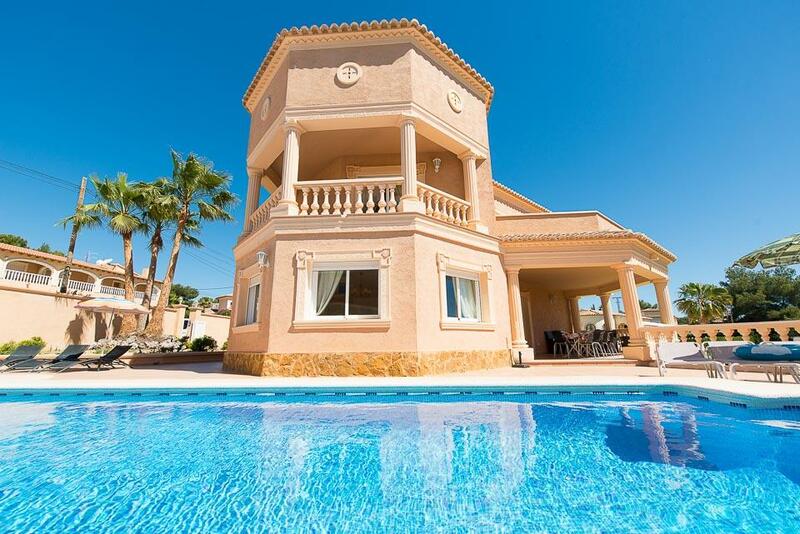 Villa Adoracion is a spectacularly spacious villa, boasting a fabulous private swimming pool, its very own tennis court and is located less than a 20 minute stroll from the Blue Flagged sandy beaches and extensive resort facilities of Calpe. 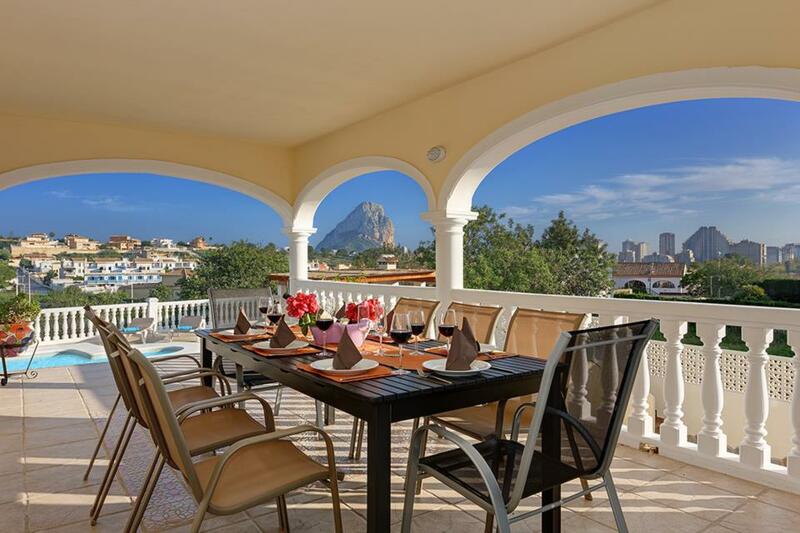 Seldom have..
With an enviable location on the prestigious Costeres residential development in Calpe, Villa Buena is an easy twenty minute stroll from the blue flag sandy beaches and bustling resort centre of Calpe. A handful of local amenities, including a supermarket..